Will it all end on Fathers Day? And if it does end will Kobe start crying that he wants a trade again? Just a few of my thoughts! How do you blow a 24 point lead, I can’t front like I could do better because trust I couldn’t but I also don’t get paid millions to play basketball. They should pay me millions for this blog LOL! Enjoy the clip of Ray Allen taking it to the Hole! Ps. What’s up with all the new found Celtic fans, this happens every year! Ridiculous! Tonight was a must win situation, no team has ever come back from 0-3 in the finals. While watching the 4th quarter it was clear to see the Celtics weren’t read to close up shop. 4 Minutes passed by and barely 2 points between both teams was scored. We’ll keep watching to see who comes out on top. Kobe better step it up if he wants these Michael Jordan comparisons to keep up because we all know Jordan led his team to the CHIP and won! HMMM I can’t say that I would have called this one! 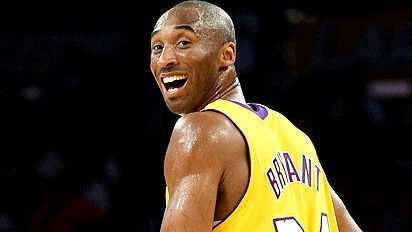 I was expecting Kobe to put the Celtics away, they got close in the end but the Celtics prevailed. What will happen next, if Boston wins this is going to be a huge upset for the Lakers. Kobe is trying to seal the deal, the championship will be a happy ending to an excellent season, his MVP, and all this Jordan comparison talk! Let’s watch and see how this unfolds. Hmmmm bets are on! Celtics up 1 game. Coming from the East I’m repping for Boston but I can’t front like Kobe ain’t gonna bring this heat! Well Game 1 is over, place ya bets in the comments section!